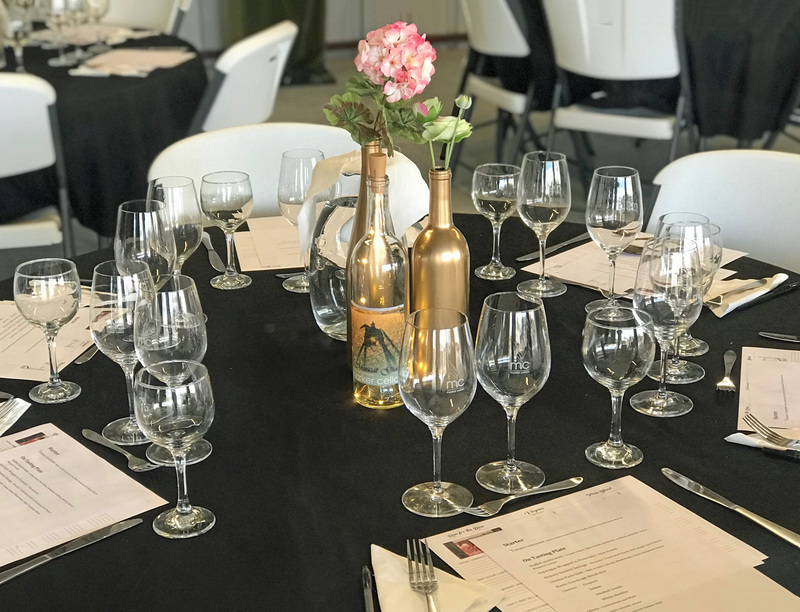 Alvord, Texas – Marker Cellars in the Red River Valley hosted their first wine pairing and Texas wine history event. I was invited to join a small group of Texas wine lovers to enjoy an evening sampling bold Texas flavor matched with pasta, dried fruit, nuts, assorted cheese, and cannolis. Mark Rogers, the owner of Marker Cellars, taught us some interesting tidbits about Texas wine history. Native American Indian tribes used wild Vitis rotundifolia, also known as muscadine grapes, in much of their diet. Muscadine grapes are packed with antioxidants and polyphenols that helped with their digestion, strengthened their immune system, and brain health. Rogers also introduced us to T.V. Munson (1843–1913), affectionately known as The Grape Man of Texas. Munson was one of the leading experts of his time on native North American grapes and the founding father of wine culture in Texas. Munson’s extensive studies of different grape cultures and varieties helped save European vineyards from near complete devastation of parasites in the mid-1800’s. France, where they suffered nearly an 80 percent loss, bestowed Munson with the French Legion of Honor Chevalier du Merite in 1888 for his role in saving their vines and wines. Run for the Rose made with Syrah grapes, is a deep pink demi-sec wine with a tart and tangy finish reminiscent of a cherry pie. I thought this would make an excellent base for sangria with slices of fresh fruit or frozen to create a “slushie with a kick” for our hot Texas summer days. The Texas Blend, a combination of Syrah, Merlot, and Cabernet grapes. A fruit forward deep red wine with flavors and aromas of peppery black cherry, it paired well with chicken pasta entrée. There are times when I am thirsty for a Malbec but want something a bit lighter; I felt this would fit that bill. Dessert was a decadent combination of chocolate truffles, raspberries, and sweet lemon cream-filled cannolis paired with Marker Mustcanelli. Created from Muscat Canelli grapes with 3 percent residual sugar, the bold Granny Smith apple flavor and peach aromas of this semi-sweet dessert nectar was the perfect accompaniment with dessert. Experiencing an enchanting sunset over the plains of Texas, entertaining conversations, and learning about the intriguing historical connections between wine, Texas, and T.V. Munson made the evening a pleasurable event. I am looking forward to the next pairing… and more vino history as I enjoy a glass of Texas wine.